Enjoy the best New York massage therapy at a variety of locations throughout the state. Stop by the finest massage parlors New York has to offer, and feel stress-free for the rest of your work week! Relax at This Beautiful Bed and Breakfast! Arbor View House sits on the North Fork of Long Island Wine County and offers a peaceful and relaxing getaway with beautiful views! Arbor view house has the most relaxing spa that offers several services: Swedish massages, couples’ massages, maternity massages & sport massages and aromatherapy baths. They have only New York State trained licensed and insured Long Island Spa therapists who are seasoned and experienced practitioners. Along with rejuvenating yourself with their spa services you can enjoy a full 3 course gourmet breakfast each day, friendly concierge service and a warm, comfortable home. Choose between 4 unique yet equally beautiful rooms. Arbor View House does two things exceptionally well, Bed and Breakfast! Some of their many features include air conditioning, fresh towels every day, Posturepedic & Shifman beds, robes and slippers in each room! Enjoy fireplaces, flat screen HDTVs, cable and DVD players. Enjoy private luxury bathrooms, Wi-Fi and a private deck! A High-Quality, Affordable Massage Parlor in New York! Enjoy blissful treatments that will rejuvenate your body and spirit at the Kobe Spa! As a guest you'll be given the choice of a deep tissue, Swedish, or Shiatsu massage. Or you can step into the sauna for dry or wet heat sessions. Enhance your sauna experience by choosing from a selection of fragrant oils. Get a 60-minute massage for only $80.00! The NY massage parlor is open 7 days a week, from 10 A.M. to 1 A.M. Call 212-333-2588 or 212-586-0555 to request more information. Reserve your appointment today and find out why many locals regard the Kobe Spa as one of the best massage parlors in New York! Eastern and Western Philosophies blended together! Set up above the busy city of New York, at the 35th floor of Mandarin Oriental Hotel, with a breathtaking view over Central Park, Mandarin Oriental Spa is a 5 star wellness establishment. You will fall in love with the chic decor and the state-of-the art equipment. The spa facilities include 6 treatment rooms with private showers, a fitness center, a sauna, a 75-foot lap pool, an Amethyst Crystal Steam Room and other great amenities. Everything here is designed to make you feel special. 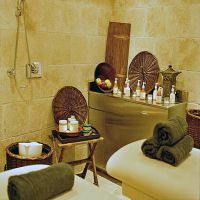 The spa therapies consist of 2 to 3 hours of tailored massages. 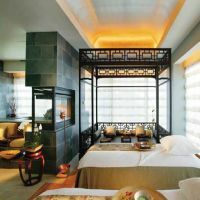 Full day or half day spa programs are also available if you want a complete Mandarin experience. The Ultimate Spa in NYC! If you want the best of the best in hair removal or spray tan (as voted by New York Magazine, Allure Magazine and Best Mommy Maintenance by Shecky's), you should go to Euphoria Spa in NYC! You will find there everything your body needs for the ultimate pleasure: body treatments, massages, facials, IPL and ReFirme treatments, tanning and waxing and much more! They have a special bridal bootcamp which will make you shine on your wedding day. For couples, there are spa experiences you and your partner will never forget. Spa at its Best with Natural Products! Using only the best products for your skin and body, like Dermatologica and G.M. Collin, artificial colors or fragrances free, Eden Day Spa awaits you in one of the largest beauty salons in NYC (8000 square feet). Do you feel tired and exhausted? Let your body dive into a Deep Sea Therapy with seaweed or into a silky bath of milk and honey and you will immediately feel revived. 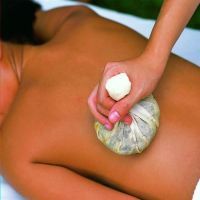 Enjoy a deep tissue massage for stress release and let your skin be detoxified or hydrated with natural plant extracts. Complimentary delicious salads or pasta available for full treatments at Eden Day Spa. For the Love of Your Skin! Skin Spa is committed to making your skin shine. The latest technologies are used in the process by expert estheticians. With the aid of CUTERA laser technology and professional products like gloTherapeutics and PCA Skin, you will no longer worry about wrinkles, large pores, sun damage or excess hair. Book online and come in to one of the 7 Skin Spa locations in New York if you love your skin! Visit the website for special offers, gift certificates and beauty advice. All treatments include skin analysis and consultation. Zen all over the place! This mind and body spa parlor is all about the state of mind. Present in 10 cities across America, Exhale puts quality first and the numerous awards it won over the years stand to prove this. Its signature barre/core class combines Pilates, ballet, yoga and core work out in 3 different levels, for newbies and advanced alike. A complete menu of spa therapies accompany the workout sessions. Therapeutic massage, acupuncture, body and face scrubs, detox, vibrational therapy and many other treats await you at the Exhale Spa NYC! They've prepared special Bridal Boot Camps of 6 or 12 weeks and also Bridal Spa Parties. Get ready to get in shape! A Spa for Exquisite Women! Oasis on Park, the largest of the 3 Oasis Day Spa salons in NY, is a gem in busy Manhattan. Inside its 19 treatment rooms you can find the most exquisite spa services in all of New York. And that is not all! They also have a high end hair salon - Maximus Clark Salon. Oasis Day Spa takes skin treatment to the next level, offering Photorejuvenation, Spider Vein Removal / Vascular Lesions and Acne Treatment using the latest IPL technology. No wonder it was named "Best of the City" by Manhattan Magazine! Open 7 days a week between 9AM-9PM, Oasis Day Spa offers an online booking system and also an online shop where you can order gift cards for your loved ones. A Silky Experience Combining Western Traditions and Eastern Rituals! Take your loved one and come to Silk Day Spa for a royal treatment: the Silk Emperor/Empress Signature Treatment will make you feel like a king and queen for the day. 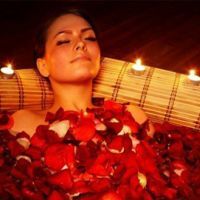 You will be bathing in the finest essential oils and aromatic herbs. Or you can enjoy a skin softening treatment just for yourself. Silk Day Spa has something for everybody: hand and foot rejuvanation, body scrubs, hydro treatments, anti-aging treatments, purifying facials, waxing and many types of massages. Open M-F 10:45AM-10:00PM and SAT 9:30AM-10:00PM. They provide a locker room and showers you can use prior to your treatment. At Juvenex Spa it's all about purification and beautification. Open 24 hours a day and 7 days a week, this impeccable spa awaits you with body treatments inspired by Asian and European remedies. One unique service provided by Juvenex is Gyno Spa Cure, an ancient Asian remedy for the intimate parts. Specialists here take care of every inch of your body: feet, hands, eyes, lips, hair. Everyday from 7 am - 5 pm the spa is open for ladies only. From 5 pm - 7 am it's couples' time! You and your partner can enjoy up to 3-5 hours of romantic atmosphere while being pampered in the most graceful way. High-End Experience for High-End Customers! Soho House is a concept which originated in London in 1995 and expanded over the Ocean throughout North America. Soho addresses to high-end customers who want only the best services. The third out of the 6 floors houses the luxurious Cowshed Spa. All treatments are made with award-winning Cowshed products, all natural and organic. Please note this is a private club and membership fees apply. There are 5 different types of memberships available. All members are offered free yoga classes on Tuesdays and Thurdays at 8 am. Check out their website to discover more about the advantages of being a Soho House member! Cutting-edge Skin Care Technology at your Fingertips! Bliss Spa is not your regular spa salon. It is a world of great expectations. "Achieve a higher state of happy" is their motto and they follow it with every service they provide. They have their own line of products for skin care and body modelling. Shop online at www.blissworld.com! Present in more than 15 cities around the globe, Bliss is renowned for the best treatments and best technicians that get results. They specialize in fat-reduction and anti-aging solutions. Try one of the trademarked programs like "fatgirlslim" or "the youth as we know it" if you aim at a fabulous look. Check out the special offers on the website! Online appointments can be made. Season Spa is a cozy little place where all your muscle pains will go away. Try the deep tissue massage if you want to release the tension in your body, or an aromatherapy massage if you need a detox. For future mommies, Season Spa offers pre-natal massage which is intented to help them bear with ease the pregnancy discomfort. Low prices available - starting with as little as $38 for a half hour session of massage, facials starting with $30. You can choose a Spa package for you and your lover - enjoy 2h and 20min of pure relaxation for 190 $. Welcome to a Sanctuary of Health and Beauty! Great Jones Spa is worlds away from the stressful and noisy environment we live in. Their entire philosophy is based on the belief that the body has a natural mechanism of auto-correct if put in the right environment. This is why they teach every customer to balance themselves through water therapy. They have a magnificent wet lounge surrounded by a 3 story indoor waterfall which will make you feel as if you were in the middle of the nature. 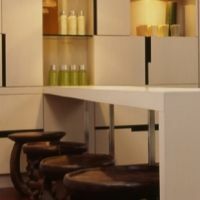 Let yourself be pampered with luxurious spa treatments and afterwards enjoy a fresh and natural juice at the juice bar. The lounge may be used free of charge by the clients that purchase spa treatments of at least $100. For spa treatments under $100 a $50 is charged. A 40 Year Tradition in Skin Care! Mario Badescu was a Romanian-born chemist and cosmetologist who dedicated his carred to skin care. His line of products have been highly appreciated by many celebrities since its foundation in 1967. If you want the best facial in New York you should definitely try Mario Badescu Skin Care Salon. Skin specialists here still follow Mario's vision and deliver high quality services. Facials are always done after a prior analysis of the skin and are always followed by assistance in choosing the right at-home skin care regimen. Products are also available in the online store. 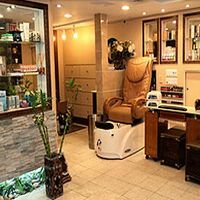 Spa and hair design parlor, Allure Day Spa NY, is a one stop shop for all your body needs: haircuts and styling, color treatment, hair repair, make-up, manicure and pedicure, hair removal, facials, massages, body treatments, airbrush tanning and more. Allure's therapists have received appreciation from well-known publications. Not only women deserve the attention of the Allure specialists, but men also. They have an entire menu specially designed for stylish men who care about their looks and well-being. Open Monday-Friday 10:30am - 7:30pm and Saturday-Sunday 10:00am - 6:00pm, Allure awaits you with many more treats for everyday life or special occasions.